Is it downloadable? Can it be viewed on the Mac in 4K (such as on the iMac with 5k display) or does it need to be Apple TV 4K in order to watch it in 4K? 4K content can only be streamed and not downloaded. When you buy or rent a movie from the iTunes Store, it automatically plays in the highest-quality format available for the device on which you're watching it. You can download a local copy of an HD movie to your iPhone, iPad, iPod touch, Mac, or PC, and you might be able to download HDR and Dolby Vision versions to your iOS devices, but you can't download a 4K version. To see if a movie can play in 4K on a compatible device, look for 4K icon on the product page. By default, all videos that you can buy or rent in the iTunes Store are available to play back in HD3. Movies in the iTunes Store might also be available in HDR10 HDR icon or Dolby Vision Dolby Vision icon. Content automatically plays in the HDR format that is compatible with your device. 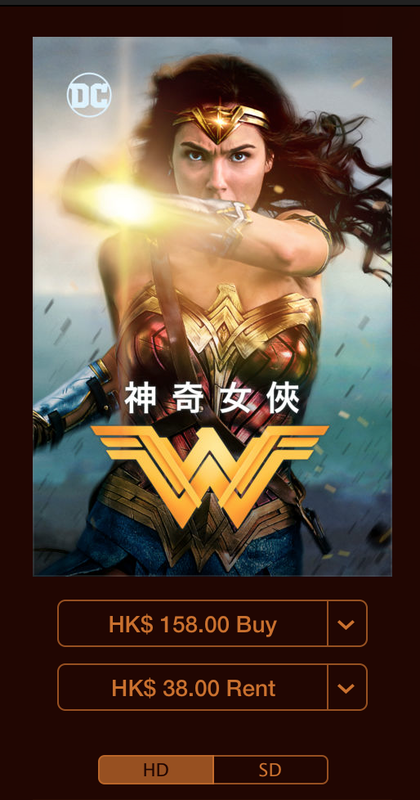 Could it be possible that the movie is available in 4K but the device you were using to browse iTunes wasn't able to display 4K? If that was the case, I don't think iTunes would show you the 4K version. Not the answer you're looking for? Browse other questions tagged itunes-store 4k . Why is my new Apple TV suddenly not showing my purchased TV shows? Multiple apple account on the same mac wait 90 days to download?